German Consumer Authorities (Bundesnetzagentur) confirm Tinitell is authorised to be used in Germany. 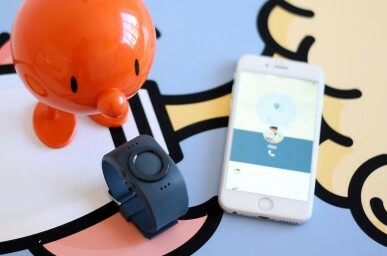 In the aftermath of German Federal Network Agency’s (Bundesnetzagentur) decision to ban kids’ smartwatches with “spying options”, the Bundesnetzagentur has officially confirmed that Tinitell is authorised for sale and use in Germany, and is not on the list of banned devices. Here is the official confirmation Tinitell received from Bundesnetzagentur (in German). 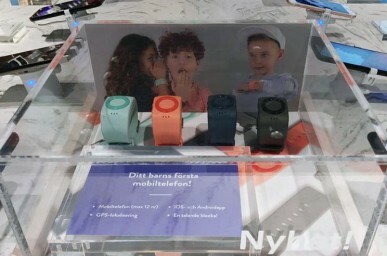 On November 2017, The Federal Network Agency Bundesnetzagentur made a public decision to prohibit the sales and use of children’s watches with spying options. The decision falls under the §90 Telekommunikationsgesetz (TKG) – where it states that it is forbidden to own, manufacture, distribute, import or otherwise pass into the scope of this law transmitters or other telecommunications equipment that are particularly suitable and designed to listen in unnoticed to another person’s non-public speaking or to receive someone else’s picture unnoticed. On Tinitell’s request for clarifications, sent immediately after Bundesnetzagentur public statement, German Federal Network Agency sent the enclosed confirmation, that Tinitell does not infringe upon §90 TKG (Telekommunikationsgesetz). 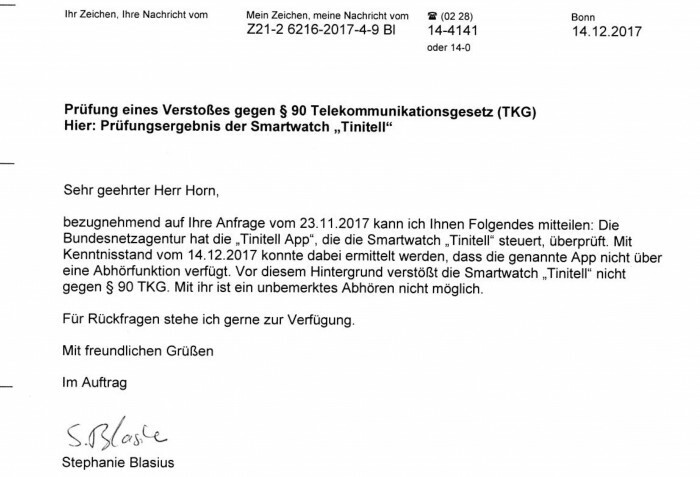 The Bundesnetzagentur has reviewed the “Tinitell app” which controls the smartwatch “Tinitell” and based on the data available at December 14th 2017, they found that the named app does not have a spying option. Consequently, the smartwatch “Tinitell” does not infringe upon §90 TKG (Telekommunikationsgesetz). It is not possible to do an unnoticeable spying session with it. Read more on Notes on the Individual Product Categories that fall under the §90 TKG. Tinitell puts the security and privacy of our customers first and foremost, as one of the best and safest way for parents and kids to communicate throughout the day, in a simple and secure manner. In October 2017, the Norwegian Consumer Council concluded that Tinitell is one of the safest phones for children on the European market, with a noticeable better build quality.